Over the last ten years, Juventus have shown their penchant for a free transfer. Since the summer of 2009, the Old Lady have picked up 18 players on frees - with some of them turning out to be world class additions. However, as with anything, some of these deals have missed the mark. Whilst the risk of signing a player for free seems minimal, the lack of transfer fee often leads to higher wages being offered. A perfect example of this is Juventus' latest free transfer Aaron Ramsey, who the Guardian report will earn around £140,000-a-week after tax. Nevertheless, free transfers often translate into easy profit. Since 2009, Juventus have accumulated a total of around £133.4m from selling on their free transfers. Starting off the list is 2006 World Cup winner Fabio Cannavaro, who made a dramatic return to Juventus three years after joining Real Madrid. After lifting the World Cup with Italy in 2006, Cannavaro sealed a move to Real Madrid for £6.3m - the move did not go down well with the Juventus supporters. Therefore, having betrayed the club in the eyes of the Juve fans, Cannavaro's return was an unwelcome one to many. The free transfer turned into a complete disaster for both Juventus and Cannavaro. Whilst the Italian legend started promisingly, formulating a strong partnership with a young Giorgio Chiellini, things went downhill rapidly. In the last 16 of the Europa League, Cannavaro was sent off for two rash challenges against Fulham and was scapegoated for the eventual 4-1 defeat and elimination from the competition. The Old Lady finished trophyless and seventh in Serie A that campaign, with Cannavaro released on a free at the end the season. Juventus' next free transfer had little to live up to after the disastrous signing of Cannavaro. In January 2011, the Old Lady picked up Luca Toni on a free after his time at Genoa had come to an end. The Italian target man started his Juventus career in perfect fashion, scoring his 100th Serie A goal on his debut for the club. Toni also made history for the Old Lady, scoring Juve's first ever goal at the new Juventus Stadium - albeit against Notts County in a pre-season game. However, Toni was a bit-part player on the whole and only made 14 appearances for Juventus. In that time, the Italian scored just twice and made very little impact in the grand scheme of things. Nevertheless, certainly an improvement on the Cannavaro deal. One of Juventus' most high-profile free transfers took place in 2011: Andrea Pirlo. The Italian magician was snapped up by the Old Lady having been released by AC Milan. 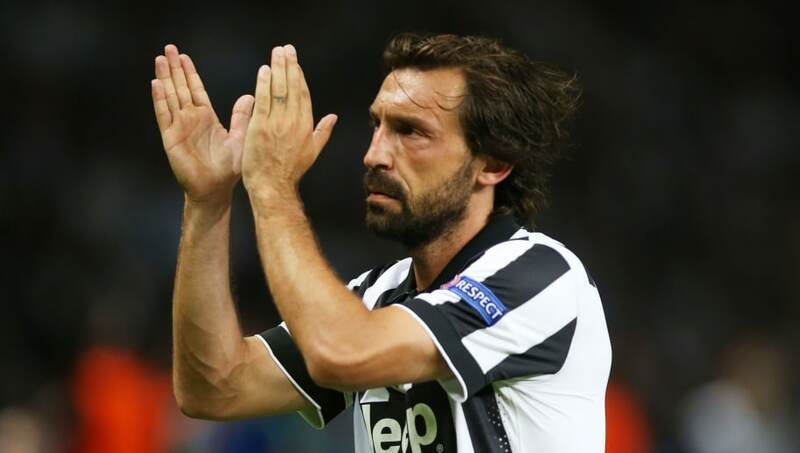 Before signing for Juventus, Pirlo had enjoyed a glittering career winning two Champions Leagues, a Coppa Italia and two Seria A titles with AC Milan. However, in his last season with Milan, the Italian made just 17 league appearances. His move to Juventus sparked his career back into life. During his four years with the club, Pirlo was a key contributor to Juve's success as the playmaker added four Serie A titles, a Coppa Italia and two Supercoppe Italianes to his list of honours. Pirlo closed the curtain on his Juventus career in the summer of 2015, transferring to New York City FC on a free. However, the Italian playmaker left the Old Lady as a legend and the success of his free transfer was resounding. Signed in the same year as Pirlo was Reto Ziegler, who joined Juventus on a free transfer from Sampdoria. Ziegler's move to the Old Lady was career defining and was the catalyst to an unrivalled career, winning three Ballons d'Or and multiple Champions League titles all over Europe. Just kidding, who is he? The Swiss centre-back 'played' for Juventus for four years between 2011 and 2015, but never made a competitive appearance for the club. During his spell at Juve, Ziegler was loaned out four times before being let go for free in 2015 as he joined Sion. Let's just say his career path didn't quite take the same trajectory as Pirlo's. Wrapping up Juventus' free transfers of 2011 is Michele Pazienza, who joined the club from Napoli. Whilst not a resounding success, Pazienza did at least make eight more appearances than Ziegler managed for the Juventus. These eight appearances came under the management of Antonio Conte. However, Pazienza was not satisfied with his limited game time and secured a loan move to Udinese just six months into his Juve career. In the summer of 2012, just 12 months after he signed for Juve, Pazienza transferred to Bologna for a meagre €300,000. However, the success of Pazienza's free transfer lies in this small transfer fee - a profit is a profit. In the 2012 summer transfer window, Juventus signed an eager and disenchanted Paul Pogba from Manchester United. The talented young French midfielder had grown frustrated with his lack of opportunities at Manchester United and Juventus decided to take a gamble - one which paid off, big time. 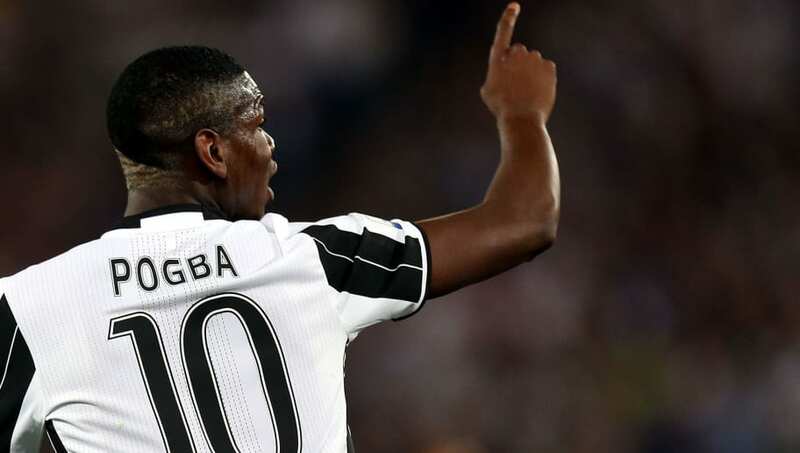 Pogba went on to make 178 appearances for Juventus, scoring 34 goals and earning plenty of admiration on the way. During his time at the club, the Frenchman evolved into one of the best creative midfielders in world football, acknowledged by his FIFA World Cup Best Young Player award in 2014. 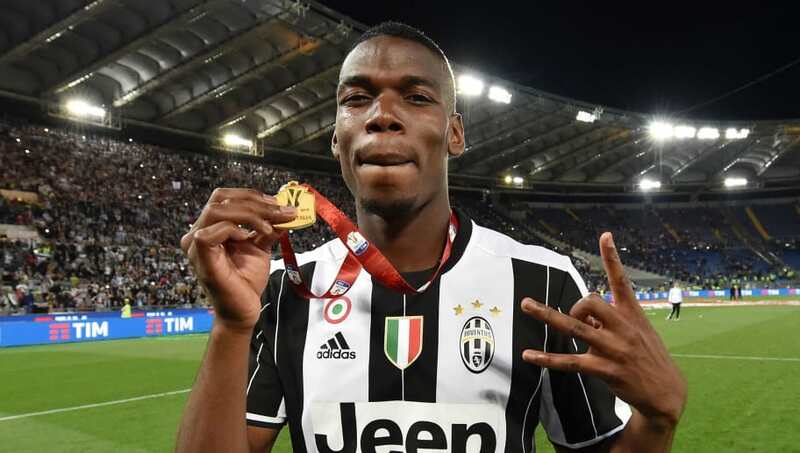 During his four seasons at the Old Lady, Pogba contributed to four Serie A titles, two Coppa Italias, and a further two Supercoppa Italianas along the way. Having been left with egg on their face for letting Pogba go for free, Manchester United looked to bring the Frenchman back to the club. The Red Devils splashed out an eventual £94.5m to re-sign Pogba. Prior to his free transfer to Juventus in 2012, Lúcio had been a warrior at the back for both Bayern Munich and Inter. His defensive hardiness made Lúcio a perfect fit for Juventus on paper and it seemed to be working out that way as he was thrown into the starting lineup as part of a back three. The Old Lady seemed to have struck gold in the free transfer market once again. However, at 34 years old, Lúcio was unable to maintain his performance levels and became hampered by injuries. The acclaimed back three of Giorgio Chiellini, Leonardo Bonucci and Andrea Barzagli became the regular and there was no space for Lúcio anymore. After making just four appearances in 12 months, the Brazilian's contract was terminated by mutual consent and he moved on to São Paulo. Whilst this free transfer was made with all the right intentions, it just didn't work out for either party. After a nine-year spell at Athletic Bilbao, in which he scored 118 goals in 333 appearances, Fernando Llorente moved to Juventus on a free. The Spanish target man became an instant regular and made 34 Serie A appearances in his first season with Juve. Llorente scored an impressive 16 league goals in this time, contributing to Juventus' 2013/14 Serie A triumph. In the following season, the Spaniard made 31 league appearances but failed to recreate his goalscoring form, mustering just seven Serie A goals. This essentially spelt the end of Llorente's Juve career, as the club seemed to have got the best possible use out of him. Llorente signed for Sevilla in the summer of 2015 as a free agent and now plays his football for Tottenham - or rather, sits on their bench. However, Llorente's first season at Juventus must not be taken lightly - the free transfer was worth it just for those goals. Reto Ziegler 2.0. Lorenzo Rosseti joined Juventus on a free transfer from Siena in 2014 but, in his three year spell with the Old Lady, made zero competitive appearances. During this three-year period, the striker was loaned out three times, with his most successful spell coming with Cesena who Rosseti made 24 appearances for. Looking at it cynicaly, the Italian was perhaps brought in just for the potential of profit. This potential was realised in 2017 when he was finally sold for £900,000 to Ascoli, where he still plays. As an exciting French talent joining the club for free at just 17 years old, there was an air of the Paul Pogba deal when Kingsley Coman arrived at Juventus. However, after spending two seasons with the Old Lady, Coman was sent on a two-year loan to Bayern Munich. From this point on, things started looking up for the Frenchman as he was named runner-up for the 2015 Golden Boy award. In a weird twist of events, Coman was the man responsible for knocking his parent club Juventus out of the Champions League in 2016. With Bayern 2-0 down, the loanee came on to assist Thomas Müller's 91st minute equaliser before scoring in extra time to make the score 4-2 to Bayern. After shelling out around £12m on loan fees for Coman, Bayern exercised their option to buy and acquired the Frenchman's services on a permanent basis for £18.9m in April 2017. Therefore, whilst Juventus didn't get much out of Coman performance-wise, the monetary gain was impressive. At number six is perhaps the most aptly named goalkeeper of all time: Neto. The Brazilian shot-stopper signed from Fiorentina in the 2015 summer transfer window. With Gianluigi Buffon between the sticks for Juventus at the time, Neto was always going to be a backup option but he proved to be a perfectly capable understudy. In his time at the Italian club, Neto won two Serie A titles and two Coppas Italia, making his time at the club a success. However, not satisfied with his role at the club, the Brazilian made a move to Valencia in 2017 for a reported fee of £5.4m. Neto's move to Juventus lies in a similar ballpark to Fernando Llorente's: he did a job for a couple of years. 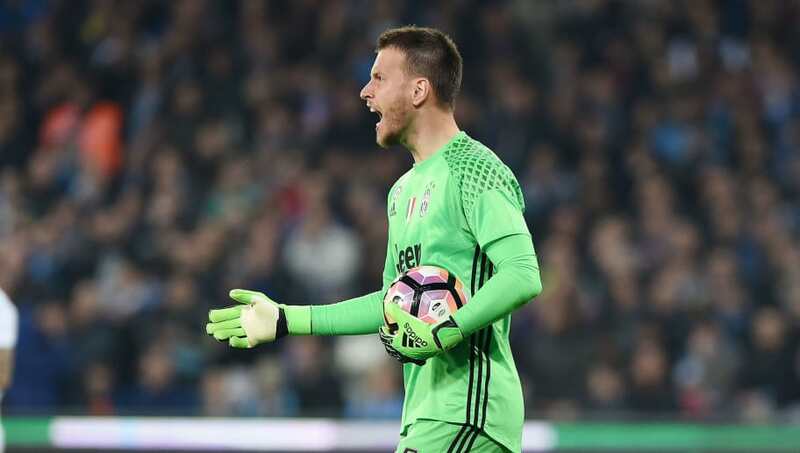 It was by no means a resounding victory for either party but trophies for Neto and a profit for Juve made this free transfer a partial success. Who knew that Juventus owned a player call Alberto Cerri? Well, he's part of their free transfer army and he's been with the club since 2015, kind of. The Italian striker is yet to make his professional debut for Juventus and has had five loan spells since joining the club. However, Cerri is still just 22 years old and he could yet become a success story. In the 2017/18 campaign, Cerri was loaned out to Serie B side Perugia, where he showed a keen eye for goal, scoring 15 goals in 34 appearances. However, at loan at Cagliari now, the Italian has made just five appearances and is yet to score. Therefore, the success of Cerri's free transfer is still up for debate but it's looking unlikely that he'll be the next Paul Pogba or Andrea Pirlo as things stand. In June 2015, Juventus picked up another high-profile name on a free transfer in the form of Sami Khedira. The German international had been playing his football for Real Madrid but the Spanish giants inexplicably allowed Khedira's contract to run down. At just 28 years old, Madrid were letting go of the midfielder in his prime. 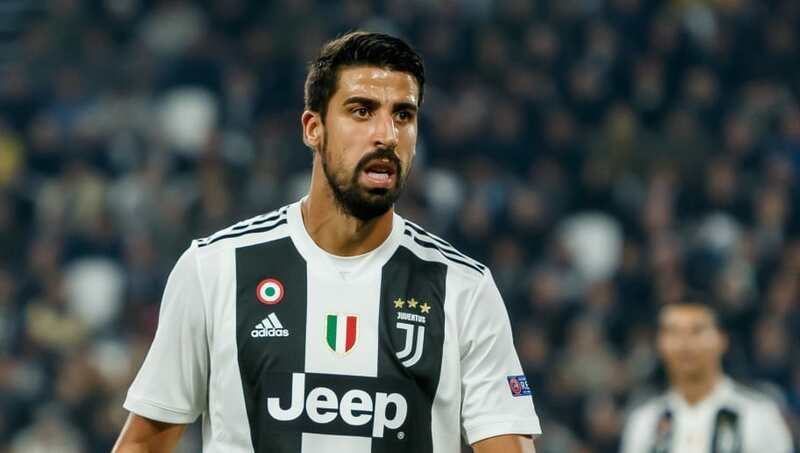 The Old Lady defied her name and were quick to pounce on this misjudgement, and Khedira has gone on to make over 100 appearances for the club. Whilst the German is no longer a regular in the starting 11, Juventus got three good years out of him and he remains a valuable squad member. Khedia has so far played an integral role in three Serie A titles, as well as the three accompanying Coppa Italia triumphs. That's what you call value for, erm, no money? After an almost unrivalled spell at Barcelona, winning six La Liga titles, three Champions Leagues and four Copas del Rey, along with ten other major honours, the Catalan giants said goodbye to Dani Alves. 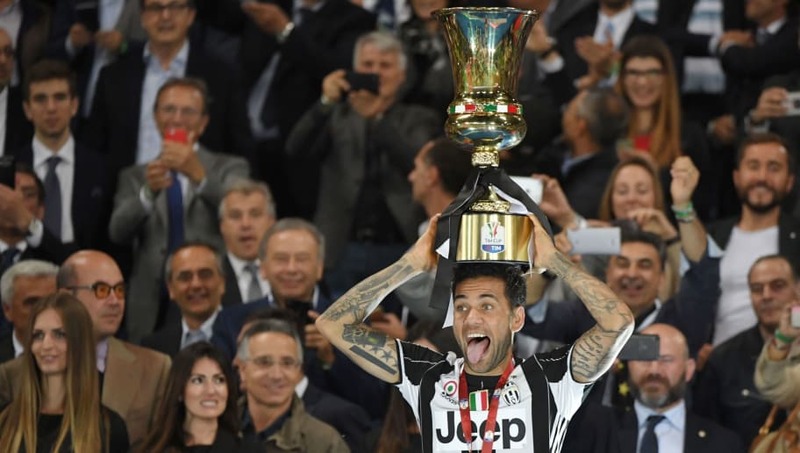 At 33 years old, some wondered whether the Brazilian fullback had anything left in the tank but Juventus took a punt and signed Alves on a free transfer in 2016. The decision was vindicated in the one season Alves spent in Italy. 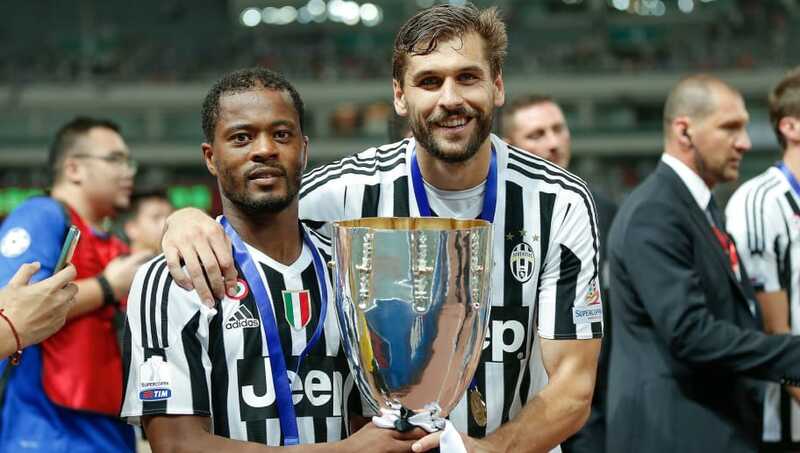 The attacking right-back made 33 appearances that season, helping Juventus win yet another Serie A title. Scoring three goals along the way, Alves' Champions League experience propelled Juve to the 2017 final. Whilst the Old Lady went on to lose 4-1 to Real Madrid in the final, they might not have made it to that stage without Alves' European nous. Nevertheless, Juventus decided against extending the Brazilian's stay and he now plays his football in France with PSG. Once of AC Milan, Simone Ganz joined Juventus in 2016 from Serie B side Como. The Italian striker had caught the eye of the Old Lady by scoring 16 goals in the 2015/16 season. However, akin to Chelsea's interaction with young talent, Juventus immediately sent Ganz on loan to Hellas Verona where he would go on to score just four times in 21 appearances. Nevertheless, this was enough to attract interest from Pescara who allowed Juventus to make a quick profit by offering £1.35m for the Italian. Therefore, if profit was what Juve were after with this signing (it definitely was) then job accomplished. 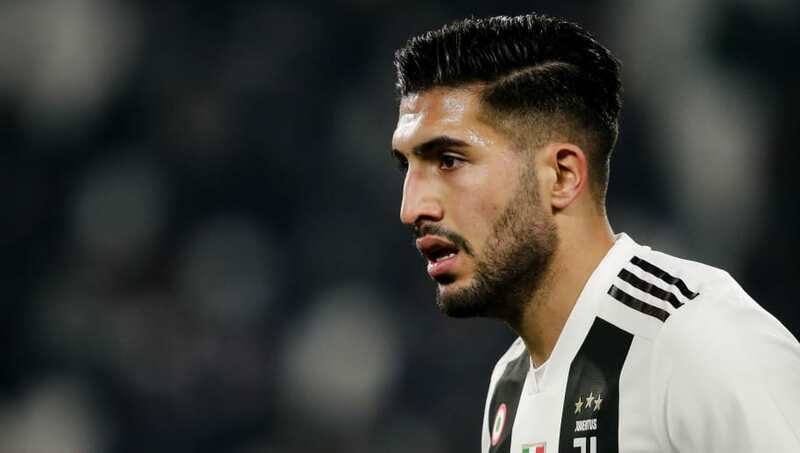 The penultimate player on this remarkable list of Juventus free transfers is former Liverpool midfielder Emre Can, who made his move to Italy in June 2018. After four years at Anfield, the German international decided against renewing his contract and joined Juve in the same window as a certain Cristiano Ronaldo - not a bad time to arrive. The transfer has proven to be a shrewd move, with Can appearing in 13 of Juventus' 19 Serie A games thus far. The German midfielder has contributed to Juve's incredible start to the season which has seen them go unbeaten in the league, opening up a nine point gap at the top of the table as things stand. At just 25-years-old, Can has the potential to be a key player for years to come. However, in the third year of his contract a €50m release clause comes into play for clubs outside of Italy. This could potentially cut both Can's stay at the club short, as well as the profit Juve could make from him. Nevertheless, for the time being this seems a smart piece of business on Juventus' part. 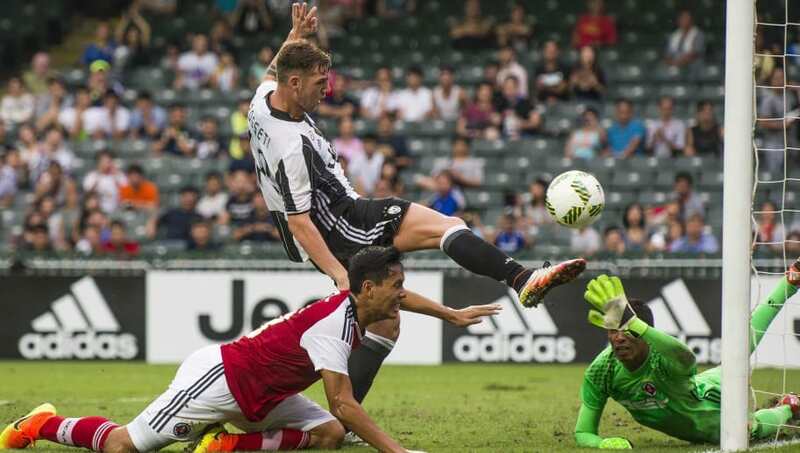 Arsenal's Aaron Ramsey represents Juventus' latest dip into the free transfer market. Having failed to strike up a contractual agreement with the Gunners, the Guardian are reporting that Juve have secured the Welshman's services for next season. At 28-years-old, Massimiliano Allegri's side will reap the benefit of Ramsey's prime years. If the Welsh midfielder can get back to the form which saw him score 16 goals in 34 appearances during the 2013/14 season, this could represent one of Juventus' best ever free transfers. However, even if Ramsey cannot recapture this form, he has the ability to become a pivotal squad member for Juventus. 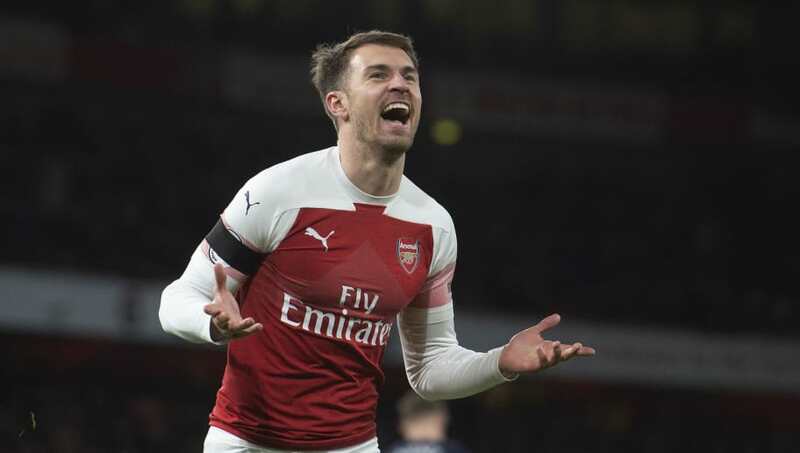 Additionally, with his vast Premier League experience, Ramsey possesses a high re-sale value should Juve decide to take this course of action.